At Smart Move we understand that government regulations require your company to keep records for a minimum of six years and storing all your archive documents can take up a lot of valuable office space and time. Most companies now use an off-site storage facility to help them with this problem, however, it is important that you use an experienced and professional company like Smart Move who ensure your documents are secure and easily accessible if you need them. Moving files and paperwork into our secure off-site document storage facility frees up costly floor areas and space for more profitable uses for you and your business. 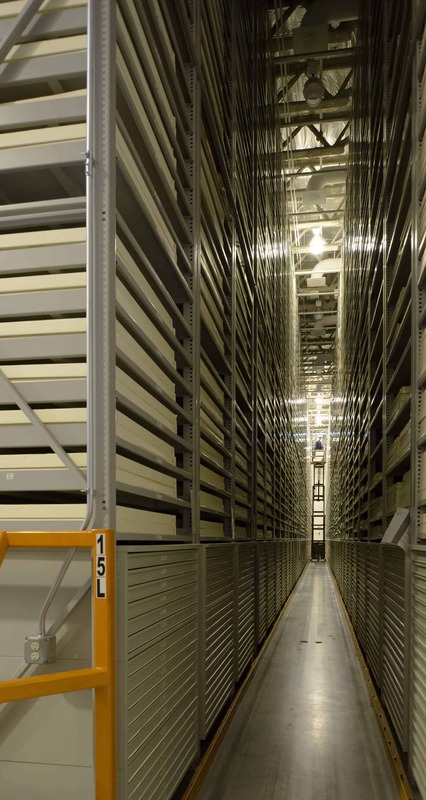 Our secure off-site storage facility allows you to store just a few archive boxes right through to hundreds of boxes which will be stored safely and in order, enabling you to easily access them. At Smart Move we understand that every business is different and we will have an archive document storage solution to suit your needs. At Smart Move we understand that Business documentation is full of sensitive and critical information and our Document Storage facilities are ideal for safely storing business files, stock, office equipment, furniture or archives until you need them again. From company records, sales invoices, accounts to employee records, over time these essential documents can be at risk of becoming cluttered and unorganised as they grow. We understand that accessing documents and files when you need them is important and as the year’s progress and it is frustrating when you can’t find the information and documents you need. Our filing, tracking and document management system will enable you to quickly and efficient find what you are looking for. We have 24-hour CCTV cameras in operation and are fully alarmed. Our storage facility is located within the perimeter of Smart Move North East′s premises and is a secure distance away from areas of public access. The security of our client’s files and documents in storage is paramount to us and our team. Our dedicated document storage warehouse is available for as short or long term as you need it and can be easily increased or decreased at any time to suit your business. Everything that is stored will be placed in your own individual container and you will have your own lock, key and alarm pin code to use when you need to access anything. If you can’t get to us or don’t have the time then our speedy collection and delivery service is available if you need it. We have document storage boxes available to buy or rent and can help you organise your business belongings and documents to ensure it is an efficient and cost-effective storage solution for you. Our archive document storage boxes are suitable for files, document, folders etc. and keep their contents free from dirt and dust. The document storage box attached lid folds snugly over the rim of the box, can be taped shut if required and the pre-cut hand slots allow for easy carrying. If needed your secure storage containers can be packed at our warehouse and your documents will be filed and stored by our expert team who have the experience and understanding of efficient and effective document filing systems. The containers your belongings are stored in are constructed especially for us and are secure, clean, dry and easily accessed making your file or document retrieval easy. Please get in touch and we can discuss your business document storage requirements and as every customer and business is different we have bespoke solutions and services to suit everyone.